• Why does RH have an admissions policy and what do we look for in potential campers? We interview every camper applicant and require positive teacher recommendations to protect your child and the entire community from disruptive campers, and to be sure they have enough maturity and social skills to be successful and to be sure the applicant is enthusiastic to attend and not going against their will. Perhaps our greatest strength is the quality and attitude of our campers. • Other than tuition and registration fees, what additional expenses can I anticipate? Uniforms New camper uniform costs vary depending on individual preferences but on average cost approximately $500-$600 for a new camper. 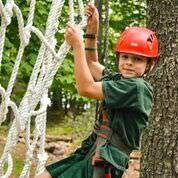 • Temporary Health Insurance $200 Health insurance for each camper is a requirement by the state of Maine. If you live outside of the U.S. and your insurance provider does not provide U.S. coverage, please email our office at robinhood@robinhoodcamp.com at your earliest convenience AND select the option on Form 5. Our $200 Temporary Health Insurance Policy will cover your camper for the length of his or her stay. 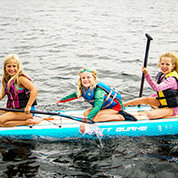 Summer Expenses (OPTIONAL) Additional optional expenses may include, but are not limited to, camp store purchases, airport transportation and shipments of trunk/duffel bag at the end of camp. • What is your English language standard requirement? Campers must be able to understand 90% of what is being spoken to them in English at a normal pace of speaking and be able to respond in complete sentences without asking for help with translation. • Who are the counselors and how do you screen them? Many of our counselors attended as campers and we know their strengths, weaknesses, maturity, character and abilities. Young counselors are selected with extra care. We perform due diligence of each counselor and require an interview, strong recommendations that we carefully check, perform a police background check, and most often counselor candidates has been recommended by another counselor or camp family. • What is the average age of the counselor staff? maturity they make up for in other ways. • Do campers wear the uniform at all times? We believe in the uniform as a way of creating unity and we have a strict policy about campers wearing the standard green shirts and shorts. Campers wear their uniform at all times except for: Fridays dance days. Ocean Yacht Cruises, and carnival days. Campers wear their own, non-uniform bathing suits and pajamas. • What is the official required uniform? The official uniform is dark green T-shirts or polo shirts with the Robin Hood logo and dark green shorts with a red stripe on the side. (Counselors wear white polo shirts and green uniform shorts). Campers also may wear Robin Hood sweat pants and hoodies, or jackets. • Where do I get the uniforms? Our official uniform supplier is Robin Hood Outfitters. 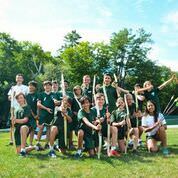 Pictures and more information are available on the Outfitters page or you can contact Marie Young, our Uniforms Director at uniforms@robinhoodcamp.com if you have any questions or concerns. • Can I send mail to my camper? We encourage you to send letters, faxes, and emails to your child. They represent the most effective form of encouragement and support a camper can receive. Please do not mail letters or packages after August 1, as they may not reach your child before camp ends. In general, we encourage more moderate care packages; weekly, at most. Packages should not contain candy. The possession of candy can be a great source of friction between children. Please respect our policy as we would like to respect the privacy of your child’s package. • When and how often can we speak to our child by phone? There is no phone communication allowed during the first week of a camper being at camp. After the first week, you can speak to your child on the phone a maximum of 2 times a week at designated times. • Can campers receive Emails? 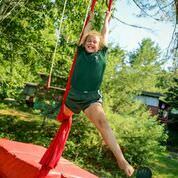 Yes, parents can Email campers and we will distribute the mail with the mail at rest hour. • Are electronic such as cell phones, laptops, tablets, and video games allowed? We are an electronic free camp. No smart phones, or any device with Internet capability is allowed at Robin Hood. Any electronics brought to camp will be stored in a safe in the office until the day the camper departs. • How many health care workers to you have? We employ two full-time head R.N.s in addition to two certified nursing assistants. The head nurses live on camp property, in close proximity to the cabins. • Is there a hospital near camp? Blue Hill Memorial Hospital, with modern equipment and excellent physicians, is 12 miles from camp. • When are the arrival days at camp? • Do parents have to drop off their children? 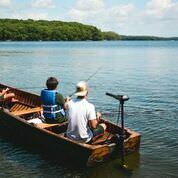 Parents can drop off campers, but some there are other modes of transportation to and from camp. Many campers fly directly to camp and some take the camp van which picks up downtown New York City, at the Greenwich, CT train station, and at Boston Logan Airport. We provide an airport shuttle to and from the following airports: Boston Logan (BOS), Portland International (PWM), Bangor International (BGR), and Bar Harbor (BHB). • What are the closest airports to Robin Hood? Bangor International Airport is 75 minutes from camp and Bar Harbor Airport is 45 minutes away. Portland Airport is 2.5 hours from camp, and Boston Logan Airport is 5 hours from camp.